Do you and your friends need something to do on a Saturday night? 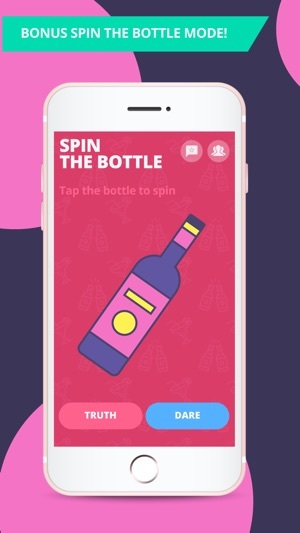 A classic game of Truth or Dare might be just what you need. 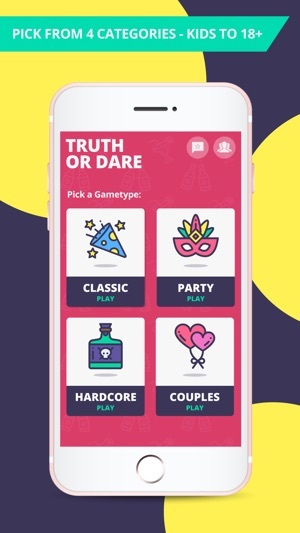 With hundreds of the best hand picked truths or dares - ranging from clean, dirty, to super dirty, you can play for hours and hours with your friends or significant other and never get bored! 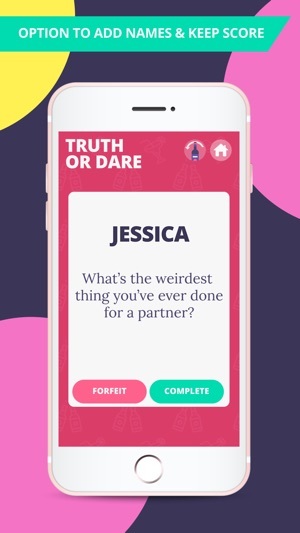 Perfect truth or dare app to play with friends, at a party, for couples and families! Including bonus features like: Spin The bottle, Use Custom Player Names & Keep scores! 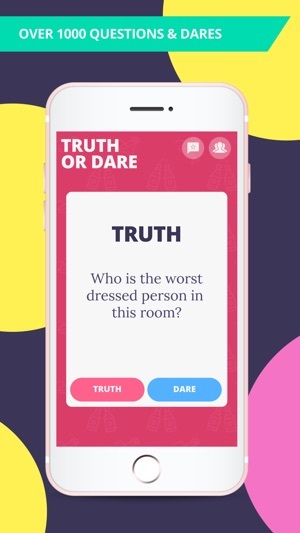 Choose from 4 different Truth or Dare categories to make sure your party is the bomb! So what are you waiting for? 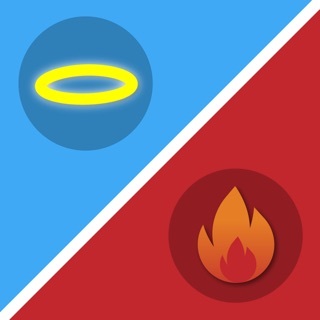 Try the best party game around if you have the nerve! Download the best dirty Truth or Dare app today for FREE! Even after paying 2.99 for "Ad Free" it still continued to show an ad asking for a review nearly every turn. Secondly, it had about ten questions per category and just starts repeating them. Worst app I've ever paid for.. 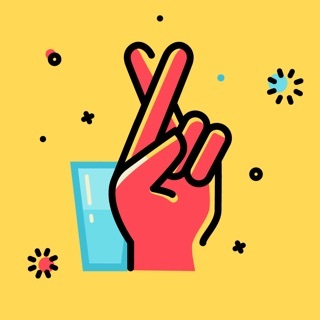 I wouldn't recommend this app to someone I hate.